This garden bed is a best solution for you. It is made by fir wood, which is an excellent combination of environmental friendly property and enough planting space. In addition, long feet keep the bed part away from the ground, which is a good way to keep the base board dry and clean. 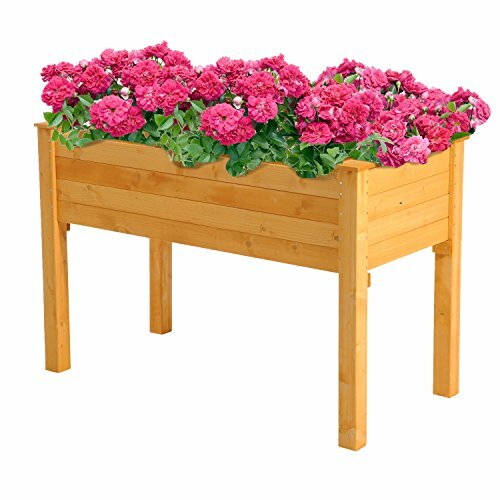 Take this flower planter and raise some plants in it and then get a little ¡°forest¡± for yourself!